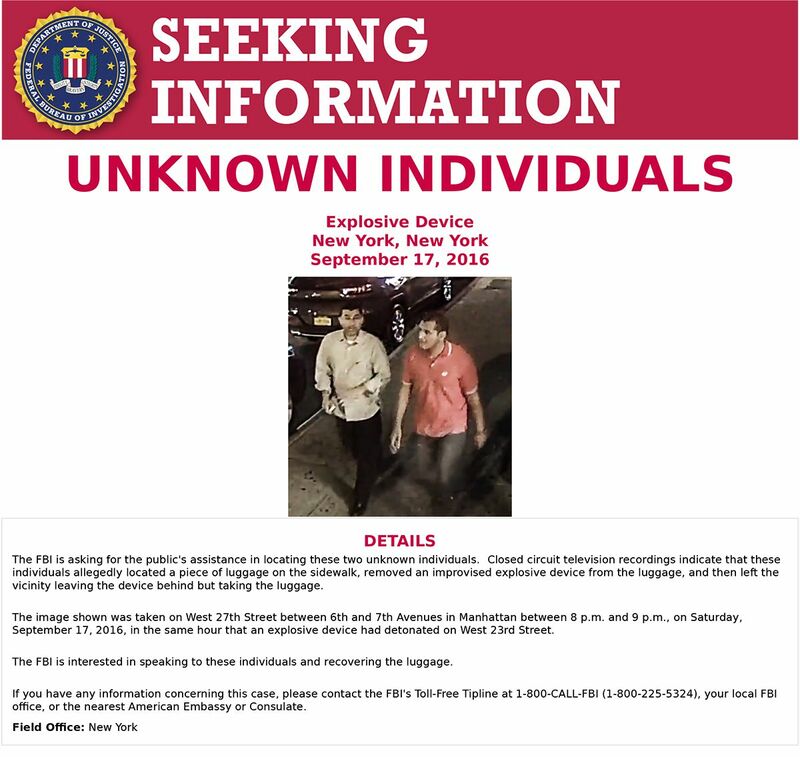 CHELSEA, Manhattan (WABC) -- The FBI has identified two men seen on surveillance cameras taking the suitcase that contained the un-exploded pressure cooker bomb on 27th Street in Chelsea, a law enforcement official confirmed to ABC News. The two men are not currently in the United States, and while they are not in custody, the FBI reportedly knows who they are and their whereabouts. Law enforcement officials say they are employees with Egypt Air in some capacity and are presumed to have returned to Egypt. They are still considered witnesses, not suspects, and the FBI would still like to talk to them. Authorities on Tuesday released a new photo of the men walking down the sidewalk. "I think they were more interested in the bag, not what they were taking out," said Jim Watters, chief of the New York Police Department's counter-terrorism unit. He added that they were "very, very lucky" the bomb didn't explode. The photo was taken between 8 and 9 p.m., in the same hour that a similar pressure cooker-style bomb exploded on West 23rd Street, injuring 31 people. The device, which was found wrapped in a plastic bag by a neighbor, did not detonate. 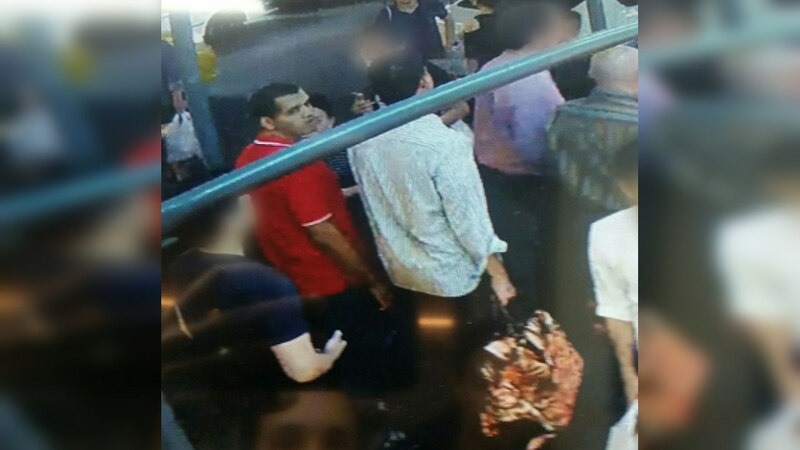 Investigators said they only wished to speak with the men and recover the luggage that they took. Since the arrest of suspect Ahmad Rahami, investigators in two states are now determined to track down every possible lead in their search for accomplices and to unravel the plot. Investigators said Rahami's bloody notebook left little doubt about his motive, with references to al-Qaeda and ISIS, and a murderous hatred for non-Muslims. NYPD Deputy Commissioner for counter-terrorism John Miller told lawmakers on Capitol Hill that Rahami was dismissed as a serious threat more than two years ago. "Based on what I've seen so far, as part of the investigation, he seems like many suspects who came into contact with the system at various times and was handled to the extent that the system, the law and the guidelines that we operate under would allow them to," he said.